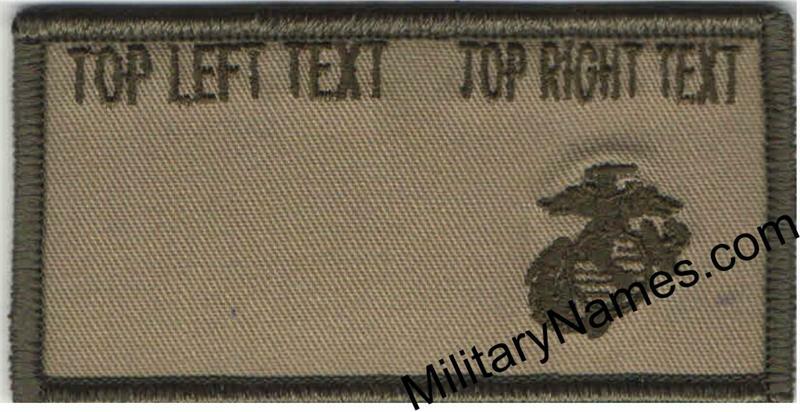 USMC EGA OFFSET Right CLOTH BADGES With Hook Fastener Military Name Tapes & Rank Insignia. Leather Flight Badges for all Branches of Service. 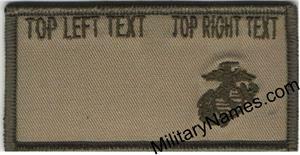 OFFSET USMC EAGLE GLOBE & ANCHOR DESERT CLOTH BADGES. THESE ARE EMBROIDERED WITH DS MCCU #1957 THREAD AND COME WITH Hook Fastener SEWN ON THE BACK. YOU PLACE YOUR METAL PIN ON RANK ON THE LEFT OPEN SPACE.